3D printers are the new must-have appliance for the modern kitchen. This year's CES visitors were among the lucky few to taste-test the confectionary wonders of the Chefjet kitchen-ready printer (available for £3,000). 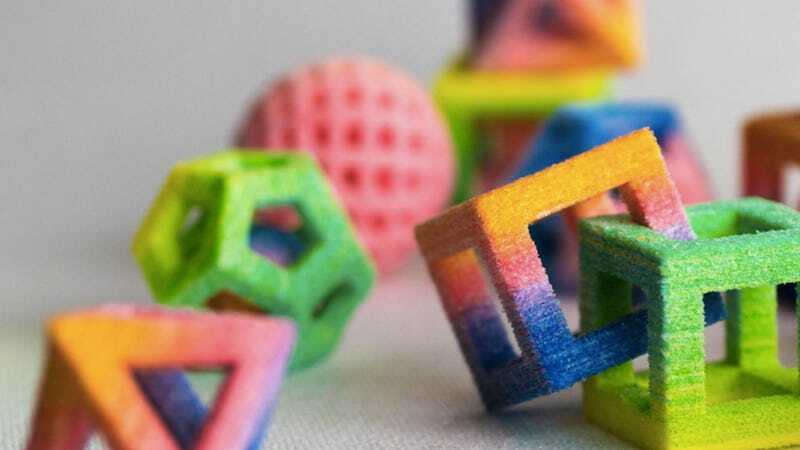 From printed sugar cubes to multi-colored candies, these sweets are like delicious modern art. A jet print head is used to spray water onto the sugar and harden the crystals, building up the sweets layer-by-layer. For pioneering American company, 3D Systems, it was a big moment. It was way back in 1986 that the company's founder, Chuck Hall, obtained the first patent for the Stereolithography additive manufacturing process which formed the basis of the 3D printing industry. The company's Chefjet "food-safe" models represent a new frontier. Start-ups are also getting in on the action. Liz von Hasseln is creative director of food products at 3D Systems. She founded Sugar Lab, a "custom design firm for 3D printed sugar" (acquired by 3D Systems) with her partner Kyle. The process is pretty simple, you basically just add water to sugar. "If you have ever made frosting and left the bowl in the sink overnight you know that the next morning that bowl is going to be impossible to scrape out. That's because when you add water to sugar it solidifies. We just add the water in a very precise way." 3D sweets are built one layer at a time, up to several thousand layers, consisting of a "separate spreading of sugar and a precise spray of water." The Chefjet food printers are scheduled for sale later this year. The Chefjet Pro model is able to print multi-coloured food and will set you back £6,000.